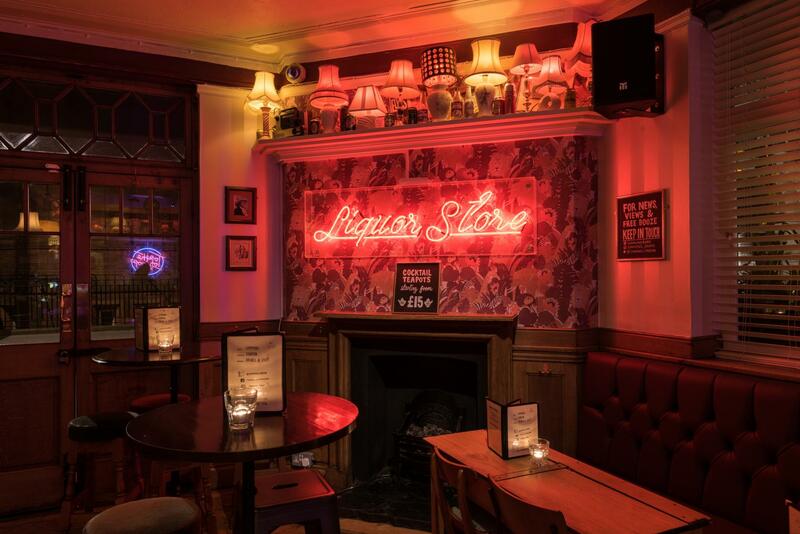 Simmons Euston Square takes an old fashioned boozer and brings it in to the modern age (with a hint of the 90s). 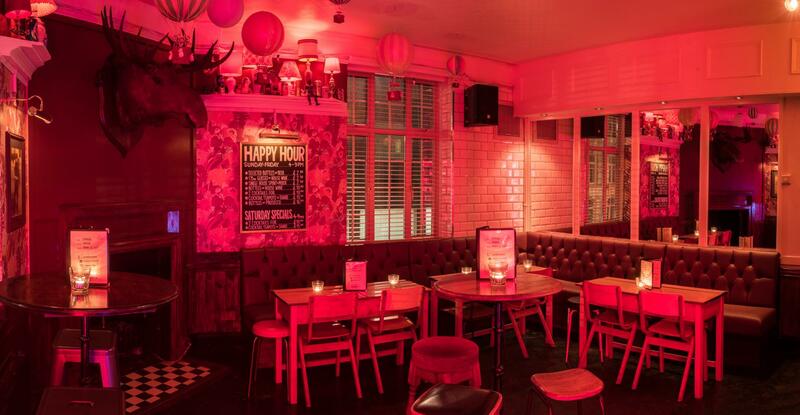 Expect neons, cocktails in teapots, an old school games console and a gorgeous function room available for private hire. 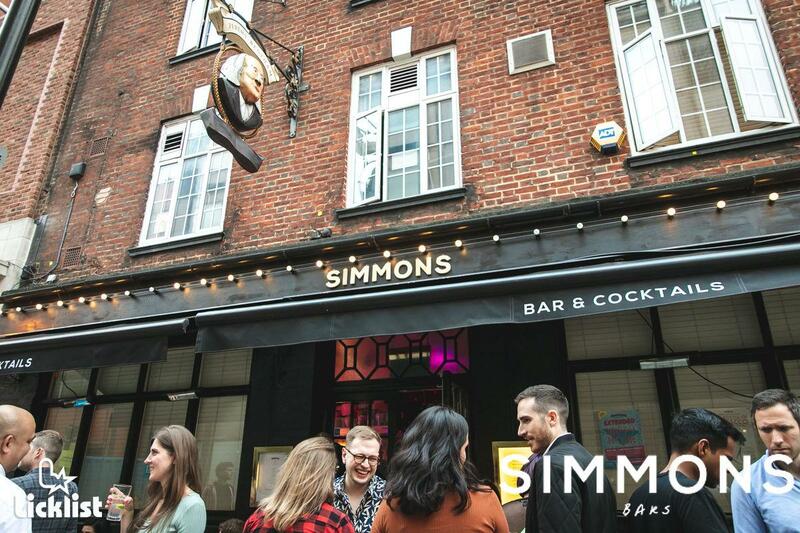 Located beside warren street and Euston Square station, Simmons have taken a historic pub and given it their unique twist. 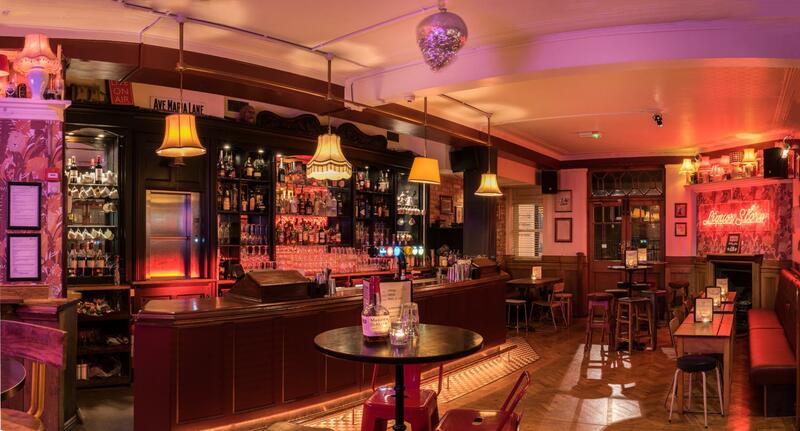 The bar is spacious and has a mixture of low and high tables. 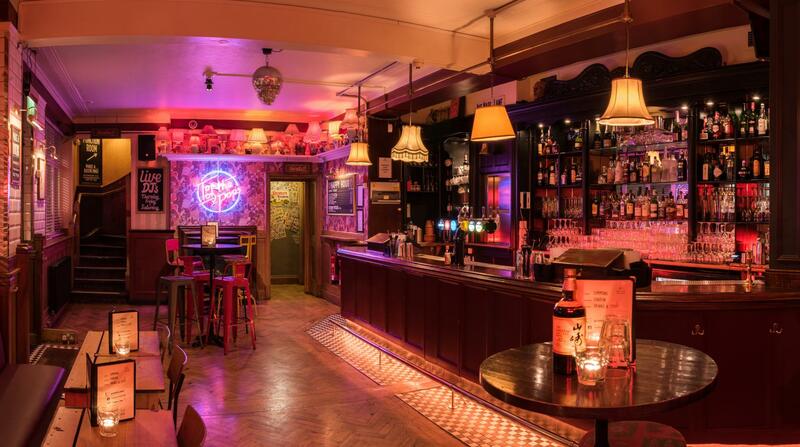 The interior is decorated in psychedelic wallpaper, neon signs and other vintage bits and bobs. 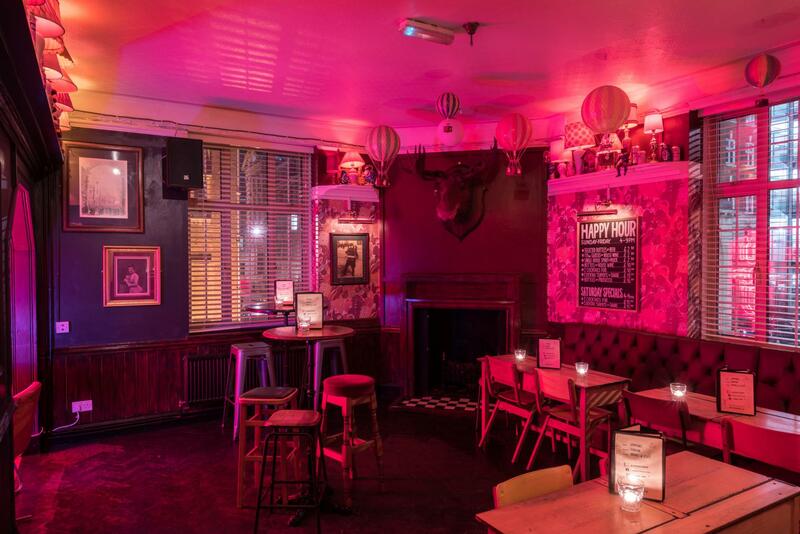 The upstairs room can also be hired out as an alternative for smaller parties. The retro console is located in this room.